When I visited the USA this summer, I was able to visit this little museum, in Golden Colorado, The Rocky Mountain Quilt Museum. We found this little gem in the quirky little town, which alone is worth a visit because of all it’s lovely little cafés and restaurants, it’s beautiful location, art galleries and museums and a cute little quilt shop. 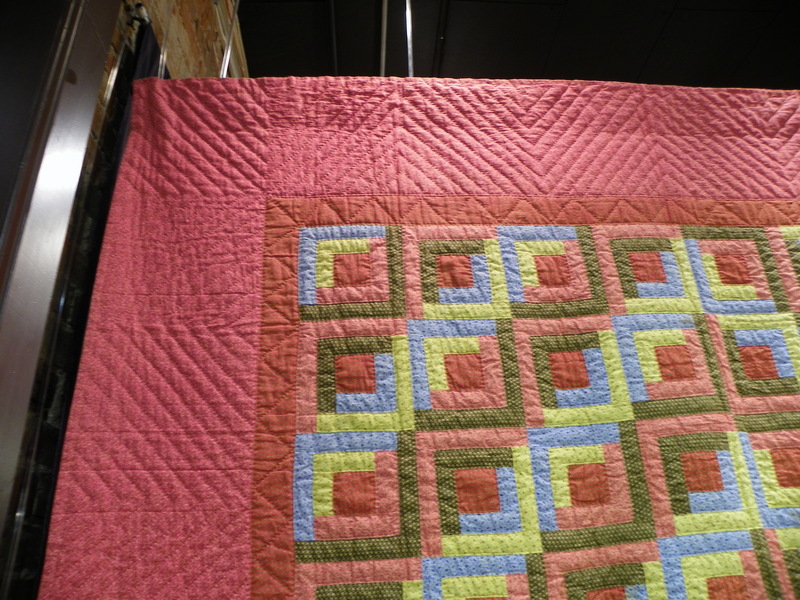 The Rocky Mountain Quilt Museum was the only official quilting museum we were able to find on our Road Trip of the Western States: Colorado, Utah, Idaho, Montana & Wyoming. And although it was relatively small, it left a big impression on us. So big that I would not want to diminish the importance of the quilts I viewed by throwing them all into one post. 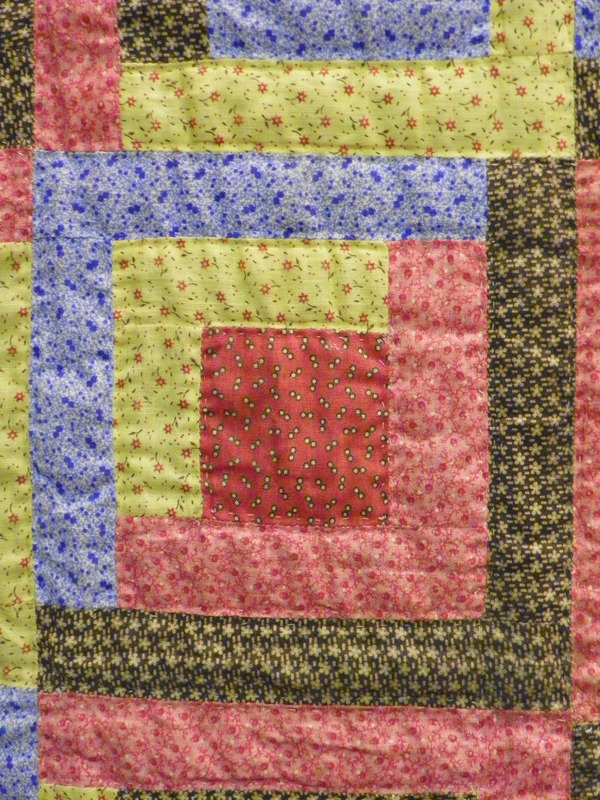 One of the quilts I took the most photos of was this one Log Cabin Quilt. 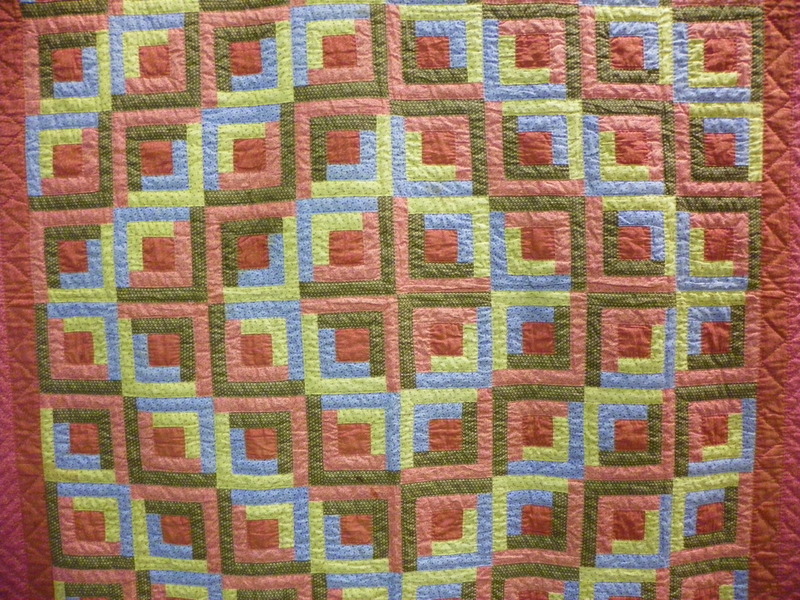 This Quilt is believed to be Mennonite. The backing fabric is blue and white homespun cotton. Although I liked the individual fabrics used,I don’t think I loved the quilt as much as I was bewildered by it. I was fascinated by the design that the individual blocks had created, but had no clue how the quilter went about arranging the blocks to create that amazing design. The Quilt Designs themselves, alone, fascinated me. I adore hand quilting and was particularly interested during this trip in seeing as many specimens, live and photographing them so that I had some ideas and examples to take back with me and so that I could have a better idea on what I should do on the quilt I am working on. You can see my latest post on my half-square triangle quilt here. 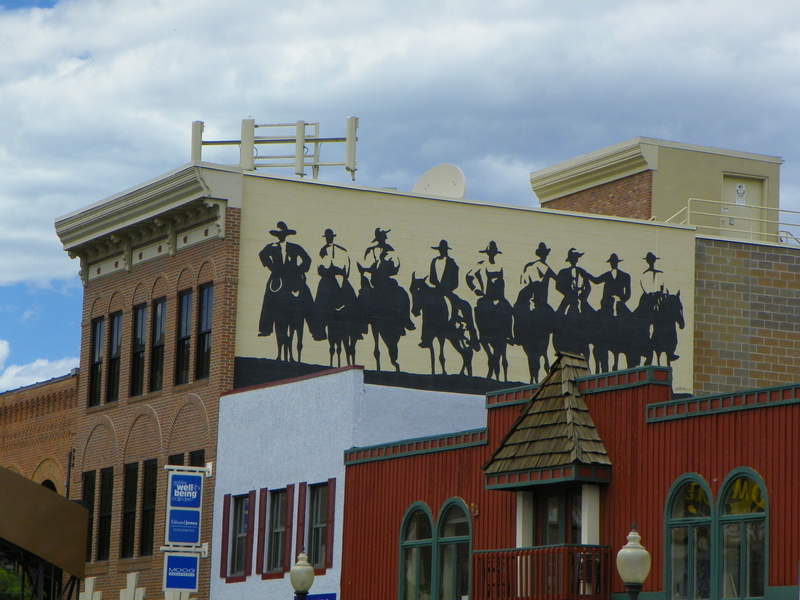 So I hope you enjoyed a peak into my visit to Golden, Colorado and will come back for more quilty and non-quilty posts about my 2014 USA Road Trip! 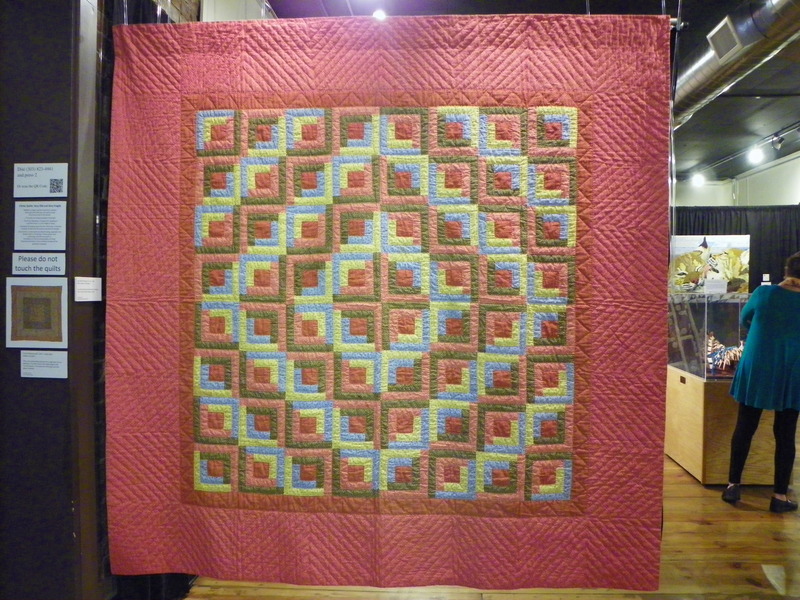 For further information about The Rocky Mountain Quilt Museum, click here , to find detailed information about exhibits, contact details, directions and photos. 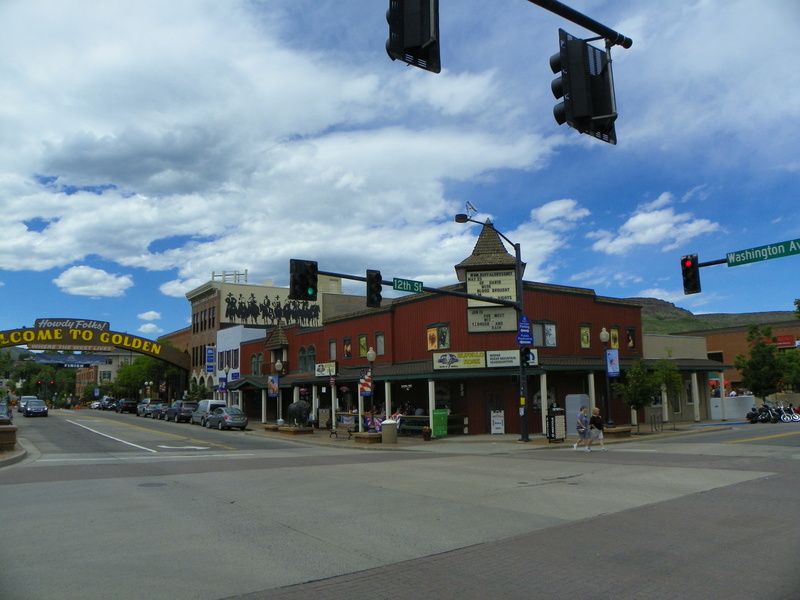 To find further information about the delightful little town of Golden, Colorado click here to visit the tourist board’s website.